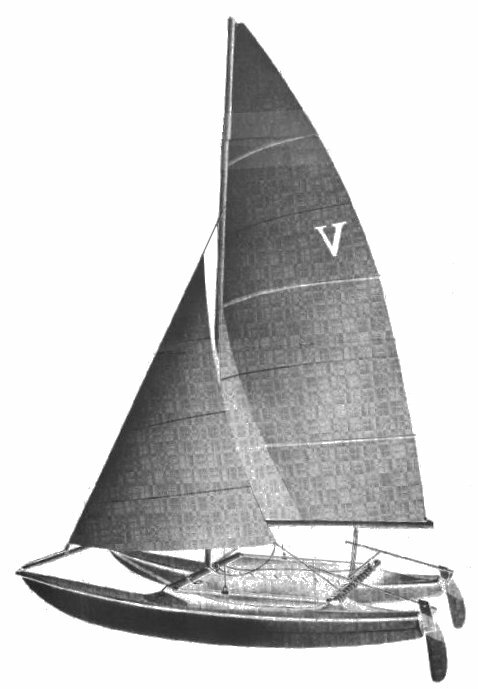 This, the first VENTURE CAT 15, has the banana shaped hulls, possibly influenced by the HOBIE 14 and 16 which were hugely popular at this time. Another version with less rocker was introduced in 1975(? ), though hull and sail dimension for both versions were similar.